Six women officers of the Indian Navy, who successfully circumnavigated the globe on the sailing vessel, INSV Tarini, called on the Hon’ble Prime Minister Shri Narendra Modi on 23 May 2018. 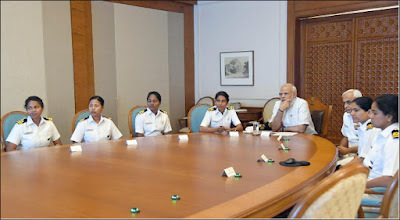 The expedition, known as the Navika Sagar Parikrama, was the first-ever Indian circumnavigation of the globe by an all-women crew. During the interaction, the crew made a presentation on various aspects of the mission, their preparation, training, and experiences during the journey. 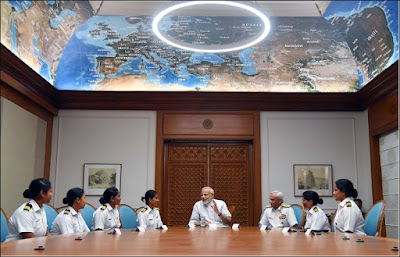 The Prime Minister congratulated the crew on the success of their mission and encouraged them to share and write about their unique experiences during the voyage. 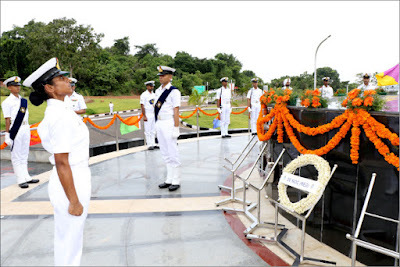 Chief of Naval Staff, Admiral Sunil Lanba, was present on the occasion. 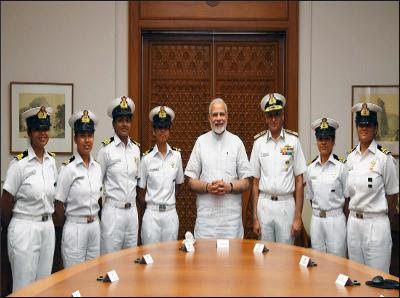 The vessel was skippered by Lieutenant Commander Vartika Joshi, and the crew comprised Lieutenant Commanders Pratibha Jamwal, P Swathi, and Lieutenants S Vijaya Devi, B Aishwarya and Payal Gupta. As part of passing out activities, a wreath laying ceremony was conducted for the cadets of 94 INAC and MSc, 25 NOC (Extended) and 26 NOC (Regular) courses on 23 May 2018 at Indian Naval Academy (INA). 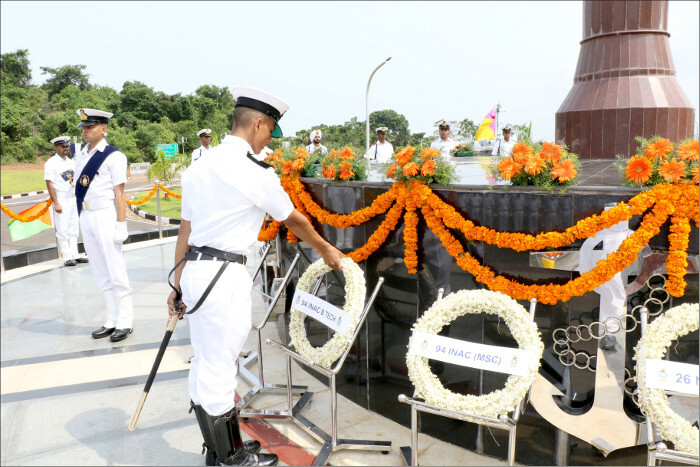 Cadets placed wreaths at the ‘Prerna Sthal’ and observed two minutes’ silence to honour soldiers who sacrificed their life in the service of the nation. 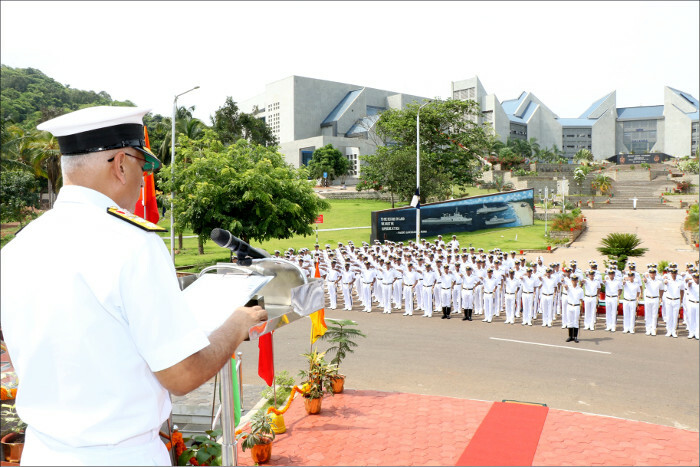 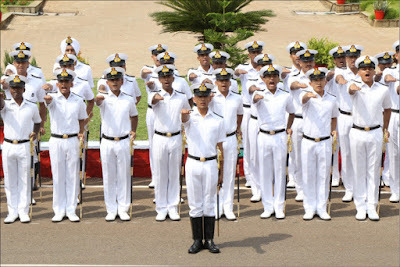 The Oath of Allegiance was also administered to the cadets of the passing out courses by Rear Admiral Puneet Chadha, Deputy Commandant, INA. 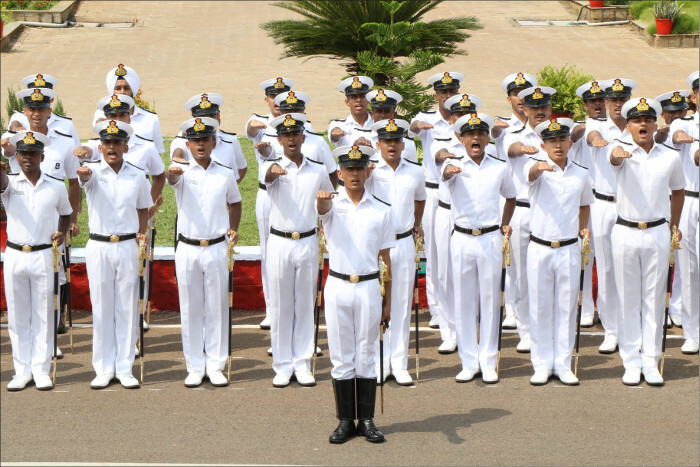 The cadets will pass out from INA on 26 May 2018.